Christina Kish has been a Registered Massage Therapist in the Leamington area since 1996 and opened Body Kneads in 2001. She has studied extensively in the area of myofascial release and postural improvement, and holds certificates in Structural Integration, Craniosacral Therapy, Reiki, TMJ Mastery and Ultrasound. She is a PSYCH-K® Professional Facilitator and a trained "Health and Wellness" PSYCH-K® Practitioner. Her most recent studies include Vibrational Testing and Healing through the Vesica Institute and some First Nation Teachings. Christina attends Can Fit Pro conferences and Isagenix events to advance her health and fitness knowledge. 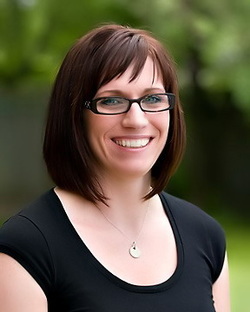 Christina spent her first 10 years as an examiner for the College of Massage Therapists of Ontario, and has taught Myofascial Release to health care professionals in Canada and the U.S., and has been a therapist at elite athletic world events. ﻿﻿Chris Labbate is trained in both the Buddhist Linage and Advaita streams of meditation and thought he has been the host of the Essex County Meditation Group for 2 years. Chris has been studying under Advaita Master - Adyashanti and was invited to share his teachings with the world. The message is simple, clear and cuts direct to the heart of the matter for all human beings. To answer the question, "Who Am I?" is both profound and reliving. Come out for a peaceful evening of relaxation and immerse yourself in silence. 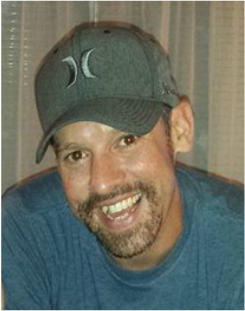 Christopher Labbate has always found energy medicine and meditation essential for well being and practices Reiki, Chi Gong and other Healing Modalities regularly for both himself and others. Dianna has been practicing yoga and meditation for over 20 yrs and is a 200hr Certified Yoga Instructor, teaching the practice since 2008. She was trained at the former Lotus Centre in London, Ont and also has additional certifications in Yin Yoga, Restorative Yoga and Chair Yoga. Dianna has participated in many additional trainings including Meditation, Prenatal Yoga, Yoga for Children and Teens and Yoga for Seniors. She has facilitated many workshops and on meditation, yoga for the chakras, family yoga, partner yoga and breathing practices. When she moved to Leamington in the summer of 2013, she opened OASIS Yoga in her home studio, offering a variety of classes. In the winter of 2016, an expansion was needed and the studio moved to a larger space, offering more classes and specialty workshops. OASIS Yoga now offers a full range of classes and specialty sessions to suit all levels and experiences with a superb staff of four yoga instructors, two life and intuitive coaches and a Certified Reiki practitioner. 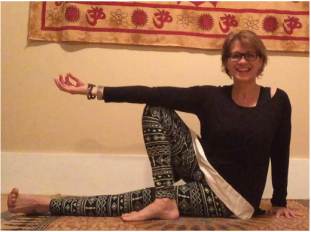 Dianna believes that yoga is a practice of connection to self, seeing and meeting all practitioners where they are. She teaches in the Hatha style, offering clear instruction with a focus on alignment combined with a sense of playfulness on the mat. She offers classes in All Levels, Gentle, Flow and Yin. Many other offerings can be found at OASIS. Private classes are available as are small private group sessions.